Our range of products include 5.5 digit multifunction calibrator. 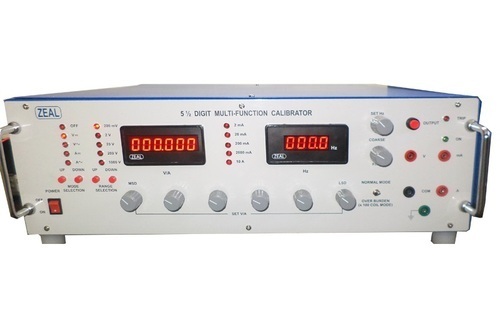 We are the leading manufacturers and suppliers of 5.5 Digit Multifunction Calibrator of high quality with the latest technology. Parameter and range selection by inbuilt micro controller based unit and relays. Bar of LEDs to indicate parameter and range.